The Zig Zag silver earrings by Dutch jewelry designer Corina Rietveld are made using the ‘Zig Zag' folding technique. 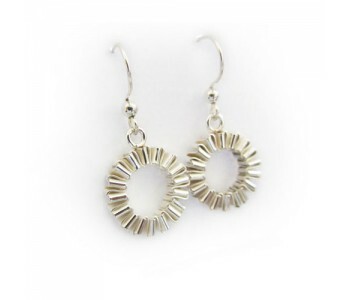 The earrings are made of silver and have a polished finish. These beautiful Zig Zag silver earrings by Corina Rietveld are extremely elegant and true eye-catchers. The earrings are made using the zig zag fiolding technique: two strips of silver are folded together to create the desired pattern. 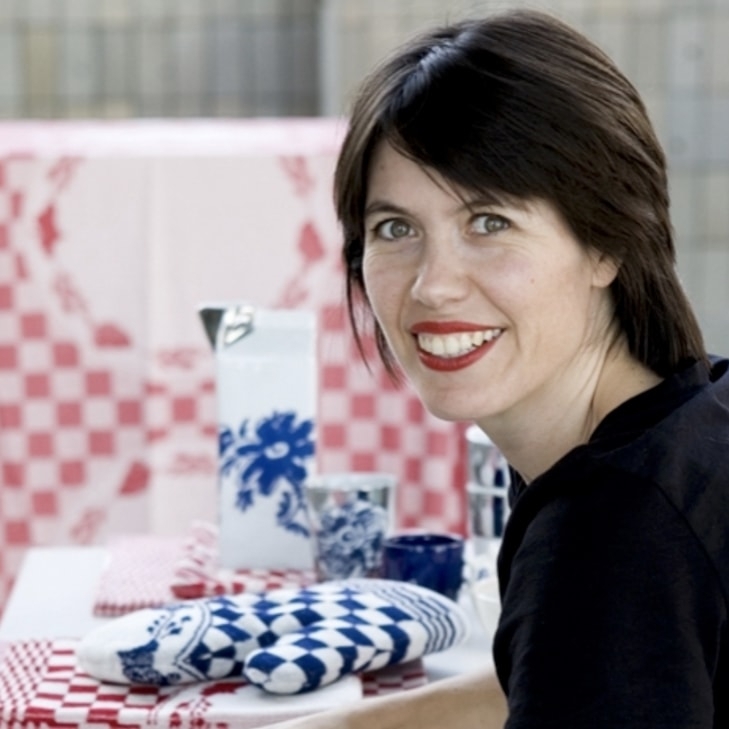 Rietveld was inspired by the (paper) folding technique that she often used as a kid when crafting. By making the Zig Zag earrings out of silver they are both durable and wearable as jewelry. This folding technique fits the Origami trend we see in the vases by Pepe Heykoop. Every piece is a jewel! The earrings are unique, as they are made by hand. The earrings are about 3.5mm thick. The Zig Zag silver earrings can be easily combined with other jewelry from the ‘Zig Zag’ collection by Corina Rietveld, such as the Zig Zag silver bracelet and the Zig Zag silver necklace. You can combine this piece of jewelry both with a festive dress and business outfit. 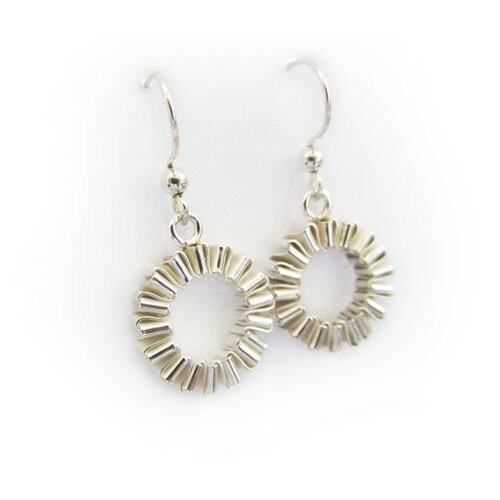 The drop earrings are polished and have a beautiful sheen.